If all sports are really about war, then rugby is a heart-thumping epic of bayonet charges and hand-to-hand fighting. 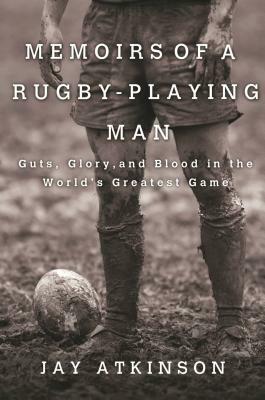 In "Memoirs of a Rugby-Playing Man," bestselling author Jay Atkinson describes his thirty-five year odyssey in the sport-from his rough and rowdy days at the University of Florida, through the intrigue of various foreign tours, club championships, and all star selections, up to his current stint with the freewheeling Vandals Rugby Club out of Los Angeles. Jay has played in more than 500 matches, for which he's suffered three broken ribs, a detached retina, a fractured cheekbone and orbital bone, four deadened teeth, and a dislocated ankle. Written in the style of Siegried Sassoon's Memoirs of a Fox-Hunting Man, Atkinson's book explains why it was all worth it--the sum total of his violent adventures, and the valuable insights he has gained from them. A former two-sport college athlete, Jay Atkinson is the author of seven books, including the bestsellers Legends of Winter Hill and Ice Time, as well as the classic rugby novel, Caveman Politics. He teaches writing at Boston University.